Boy, I bet the creators of Don’t Breathe are kicking themselves that they didn’t get the rights to the name Lights Out, the summer’s other surprisingly good horror/thriller. 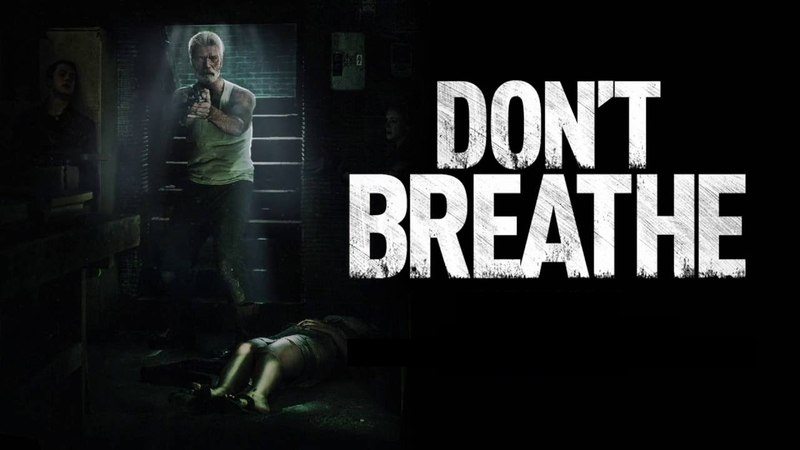 Still, Don’t Breathe is a simple and evocative title that matches the excellent trailer for the film. Don’t Breathe has a fairly original premise for the home invasion sub-genre: three idiots decide to rob a blind guy, thinking he’ll be easy prey. They quickly realize they messed with the wrong damn blind guy. The tables quickly turn on the idiot thieves and they become trapped The Blind Man’s home while he stalks them. Desperate to survive and escape the prison of their own making, the thieves uncover even more horrifying and disturbing details, while their psychotic blind captor hunts them down.